A large whiteboard hangs in our small hallway between the bathroom and the kitchen. On it, you would see the name of each child in our family over the age of three years old and 25 small circles drawn under each. When initialed, they represent $2 each; but the kids can’t start earning until they either have a spending goal or can’t cash out until they earn all $50. We do this as a first step in teaching kids to budget, save, and discover the value in the slow process of earning towards a goal. We want them to learn to save money, to budget for what they really want, and to not be cheap. Well, being cheap very often refers to something not just inexpensive, but also low quality. And to be cheap can mean both that you don’t spend money on anything expensive, but it can also mean that you don’t have to rely on those inexpensive items to get by. Phew… ok… let me boil it down in a different way. If you could invest in a really nice set of sharp, dependable, reliable kitchen knives that last for 45+ years instead of buying the flimsy, inexpensive ones that have to be replaced every 5 or so, would you? If you said you don’t want to spend the money, can I ask if it would still be nice to have the great set of knives or if you would want them if they were cheaper? Why settle for inferior or poorly made to save a buck now if saving and budgeting could alleviate this? While maybe our circumstances don’t allow for larger purchases now as we’re rearranging savings and budgets as an adult, what if we could raise our kids to know how to save up, budget for, and spend wisely towards a goal before they’re even teenagers? It’s important to teach your child how to set up a budget of their own and encourage them to start using it while they are young so they can build this important habit for adulthood. In fact, budgeting is at the backbone of future success. They need to learn how to set up guidelines for spending and saving their money. The budget doesn’t have to be fixed in stone at this point; they are in the learning process. You can allow them some flexibility while you help them fine-tune it, but the better they stick to the plan, the easier it will be for them in the long-run. Start by setting aside some time for you and your child to work on this together. Gather note paper, pencils and a calculator for your project. Then use these tips to get you started. Give your child guidance but don’t do the work for them. Learning to budget is an invaluable experience and they need to practice it on their own. If you make decisions about what they spend their money on, they will never learn how to make smart money decisions on their own. They need to know when what they have purchased is a quality item or something that was “worth it” or not. Your child’s budget can be short-term or long-term. Younger children can usually only focus on shorter time frames so they may find it more encouraging to start with a weekly budget. Teenagers can handle whatever time frame they choose to work with. They can start with a monthly budget, or create one that runs from allowance to allowance or from paycheck to paycheck. Whatever they feel more comfortable with and will help them manage their money best. Even when they’re little, help them see what things really cost. Our 6 year old typically carries an old-fashioned calculator around the store. She has to not just input each item, but see the total cost … plus tax. Because of this, we’re not sheltering her from the realities of what things cost. She knows. And she even sees us using coupons or deciding to get more of something one week because it’s on sale versus another week when it isn’t. And because of this she’s learning wise spending habits. Have your child pay with your money for necessities. Especially if you can put cash in their hands to pay for things like groceries, they start to learn that nothing is free and that they’re always an exchange. 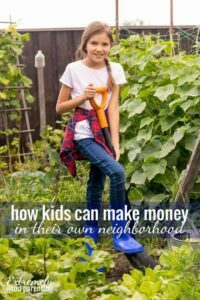 This makes budgeting and saving a little more real in young eyes and gives them practice for when it’s their own money too. Not to mention that it builds necessary skills for interacting with others in public, especially the service industry. Calculate the same amount each month for expenses even if it isn’t always the same amount. A fixed expense may vary each month, but the budgeted amount should remain the same. For example, a cell phone bill may be $20 one month and $30 the next, but the monthly budgeted amount should be $25, keeping it constant from month to month. Put money aside money for gifts. In creating a budget with your child, talk about the gifts they will need to buy during the year for holidays and birthdays. Add up the total amount they expect to spend then divide it over twelve months. If they don’t need to spend the money one month, they can put it in savings for when they will need it. 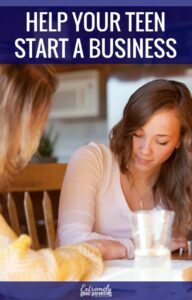 Create a Personal Spending Plan. Now that your child knows everything they need to budget for, it’s time to put things in writing. Here are some common budget items to get them started. Add more based on their needs and desires. Let your child work with this budget for a couple of months to see how it is working then make adjustments with them as needed. But how can you help teach your kids to enjoy saving money? 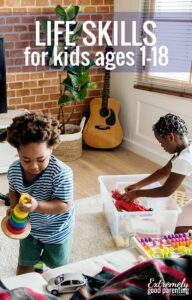 Kids who learn to save when they are young often have a much easier time reaching their financial goals and staying within their budgetary limits when they are older. Kids love to play fun games, so why not teach them important lessons at the same time. Classic board games like Monopoly teach basic financial principles while providing some great interactive time with your kids. You can also visit websites like Kids.gov for age appropriate games and videos about money. 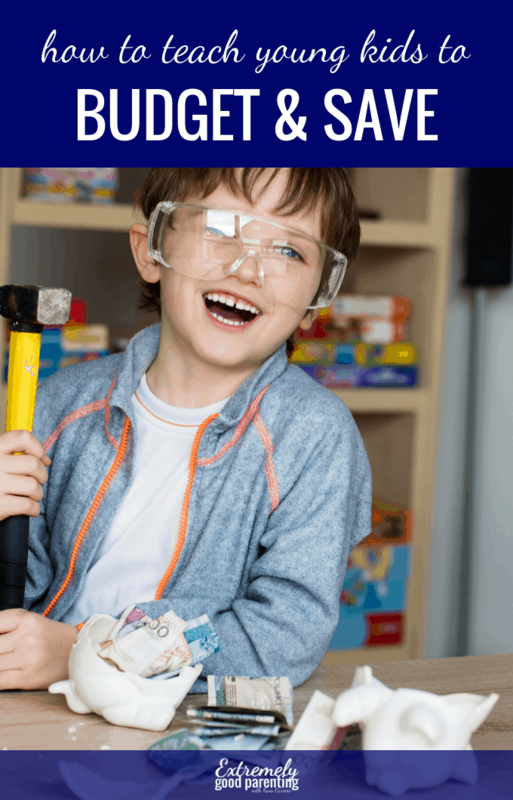 If your child has a little cash built up from gifts or chores, they’ll be ready for the next step. Take them to the bank to open their own savings account. Most banks offer higher interest rates and waive service fees for savings accounts that belong to customers under 18 or who are full-time students. When your child has their own savings account, they will be able to see their money earn interest and grow over time. Whenever they receive a cash gift, teach them to divide it into the three jars, and spend or save accordingly. After a while, they will be able to visually see the money in their “savings” jar grow. Teach your kids to save for things instead of spending all their money as soon as they get it. Talk to your child and teach them that if they have $5, they could choose to spend it on a few comic books now or save part of it for something they may want that costs more, like a new video game. Help your child set a savings goal and when they reach it, say saving $100 for instance, reward them by matching some or all of the savings. This will encourage them to save more, knowing that their savings will easily be increased by 50-100%.